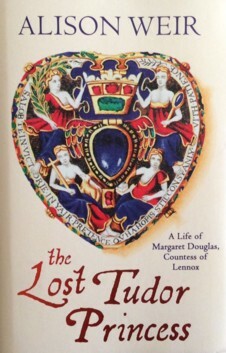 I'm reading Alison Weir's latest book, The Lost Tudor Princess, a biography of Lady Margaret Douglas. Margaret was the daughter of Henry VIII's sister, Margaret, Queen of Scots, by her second husband, the Earl of Angus. Lady Margaret's parents separated when she was a child &, due to complicated political reasons, she grew up at the English Court. At one time in the 1530s, all three of Henry VIII's children were considered illegitimate so Margaret, born in England & a favourite of her capricious uncle, had a good claim to the English throne. However, in 1535, when Margaret was 20 years old, she fell in love with Lord Thomas Howard, half-brother of the Duke of Norfolk & uncle of Anne Boleyn. The couple went through a form of pre-contract, at that time almost as binding as marriage, without the King's knowledge or consent. When Henry discovered this, he was furious & imprisoned them in the Tower. Although Thomas was an ambitious man who could see the advantages of marrying the King's niece who was so near to the throne, they do seem to have been genuinely in love. The evidence is in the form of a manuscript book of poems, known as the Devonshire Manuscript, many of them considered to have been written by the couple during their imprisonment. It seems that they were able to communicate because the poems often echo each other as if they were exchanges of letters && most of the poems were transcribed by Thomas. The story has a sad ending but not the usual ending for royal women imprisoned in the Tower & the men who aspired to marry them. Margaret was freed in 1537 & restored to Henry's favour. Thomas, however, died of a fever during his imprisonment. This is one of Margaret's poems from the Manuscript. To whom forever my heart is plight. Our hearts should be of one estate. Such faithful love to you I bear. And think on me who loves you best. But to think on you my lover sweet. Thank you for sharing your review/commentary. I have lost count of Weir's books -- she is becoming so prolific -- and I need to catch up by reading this one; Weir has long been a favorite of mine. Again, thanks for highlighting this one. You're welcome, Tim. 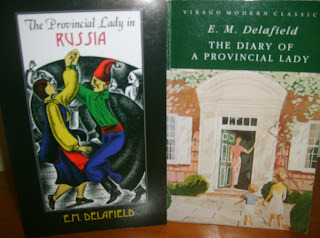 I think I've read all Weir's non-fiction & I enjoy reading about lesser-known historical characters like Margaret. I saw this book at the library last week but decided I had enough to read already. It sounds interesting, did you enjoy it? I did enjoy it, I finished it over the weekend. 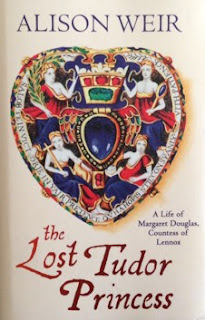 Margaret has a walk-on part in so many other books, it was good to read a biography focussing on her/ There was a lot I didn't know, especially about her early life.